Laser Innovations provides full service & support of your SLA-250 & SLA-500 machines. We supply a large stock of New Solid State laser equipment, and refurbished Ion laser equipment for your needs. We provide New Pentium CPU upgrades, optical components, scanners, motors and drivers for your repairs. We offer full Solid State laser system integration on your SLA-250, and SLA-500 machines. We also offer full "PM" service for all Solid State lasers systems found in the SLA-350, SLA-3500, and SLA-5000 machines. Our vast inventory and precision workmanship provide for quick turnaround times that surpass the competition. Within these pages you will find stock availability, general data, and specifications for the various SLA® models that we support. You may also contact Technical Support within these pages. For price quotes please call, fax, or E-mail us. Our contact information can be found at the bottom of this page for your convenience. 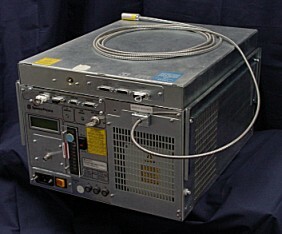 The information on this page is from the Laser Innovations website (www.solidimaging.com) and is intended for the personal use of the customer only and may not be sold or transmitted to another party. We assume no responsibility for errors or omissions. Please note: SLA, is a registered trademark of 3D Systems.